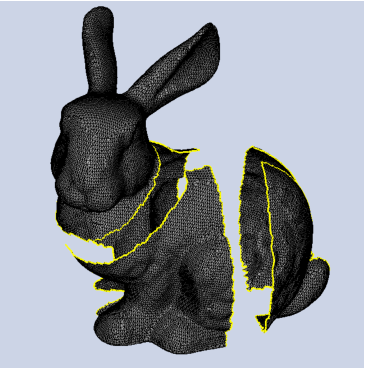 Wrapping DGK’s wrapping algorithm is a powerful tool to repair laser scans with large gaps. As wrapping is a volumetric approach, and is fairly time consuming, a minute of processing time is cut from the video. 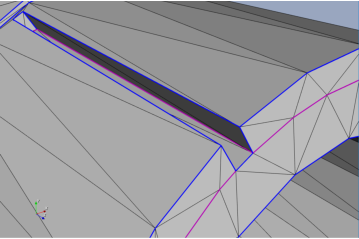 Work is underway to extend the algorithm to general CAD models. 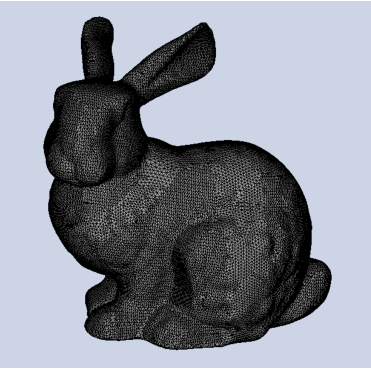 Manual curve and surface construction The broken bunny as before but repaired using curve and surface construction, refinement and blending. Curve To Curve Stitching While curve to curve stitching is normally used for stitching similar curves in close proximity, it can also be used to close large gaps. Note in this application, the second curve selected is projected and merged with the first curve selected. Merging of sequential curves is also demonstrated (second box). 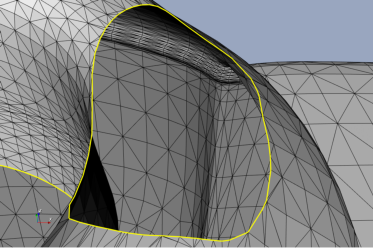 Other than adding nodes, stitching does not modify the surface mesh. Swapping is therefore need to get a good surface where the squares have been made cylindrical. 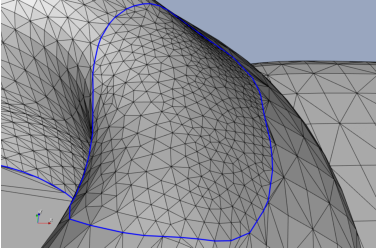 Booleans and Defeaturing A simple case to demonstrate construction of a simple body using primitives and Booleans and how topology management with coarsening can be used to defeature a model. Curve Embedding Curves embedded in a sphere are used as a basis for further geometry construction. Refinement and Coarsening A simple demonstration of how DGK’s refinement with smooth surface reconstruction works. Curve and surface coarsening is also demonstrated. 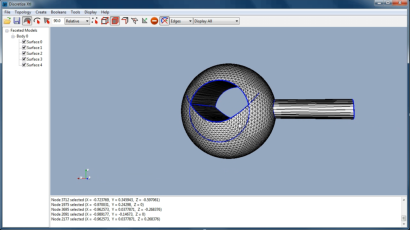 Curve To Surface Stitching In this example, the free curve of the cylinder is stitched to the spherical surface.